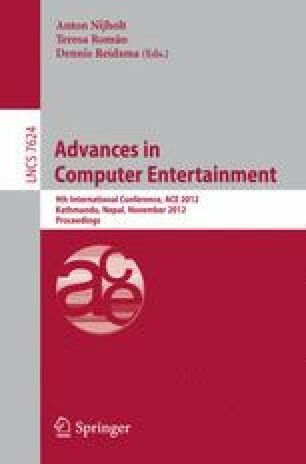 This study addresses information support for hearing impaired people who attend theatrical performances. In present Japan, there are a few theaters that employ programs providing captions for hearing impaired people. The few programs that provide captions only show dialogues and sounds (musical note icons). We propose, implement, and evaluate a caption presentation method for hearing impaired people, which includes support for dialogues, sound effects, and audience responses.